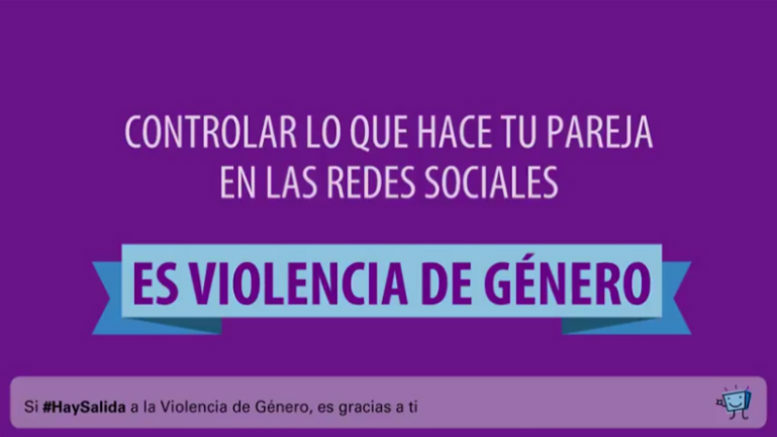 Spain’s Ministry of Health and Social Services has launched a new campaign in tandem with the non-profit organization Pantallas Amigas to raise awareness among teenagers in Spain that the practice of cyber-bullying young women by boyfriends or girlfriends constitutes a form of ‘gender violence’ and provide victims with keys to identify and discourage the activity among friends and in their own relationships. The campaign Diez formas de violencia de género digital (‘Ten Forms of Digital Gender Violence’) relies on an animated video and social media dissemination using the hashtags #HaySalida (‘There is a Way Out’) and #FuerzaEnMiVoz (‘Strength in My Voice’) to provide teenagers with an understanding of how digital gender violence is employed by one partner in a relationship against another and how to avoid abuse by partners using mobile phones to control and harass. According to Spain’s Minister of Health, Social Services and Equality, Dolors Montserrat, some 29 percent of Spanish teenagers say they have suffered abusive control by their partners using mobile phones to harass and, in some cases, actively stalk them. The ‘Ten Forms of Digital Gender Violence’ video was produced by the Pantallas Amigas organization, whose mission is to promote safe, healthy and responsible use of technologies among children and adolescents.